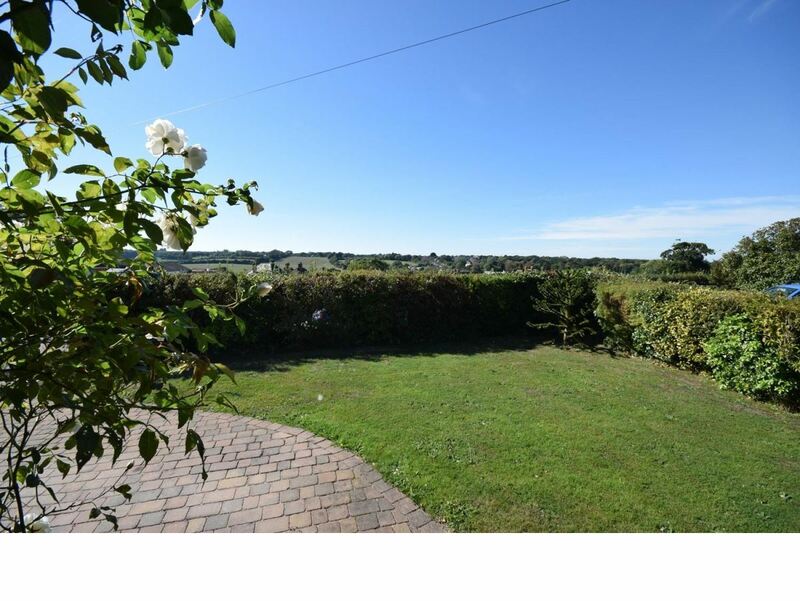 A surprisingly spacious and beautifully presented 4 BEDROOM detached home within a good sized plot and offering superb views over the neighbouring countryside. 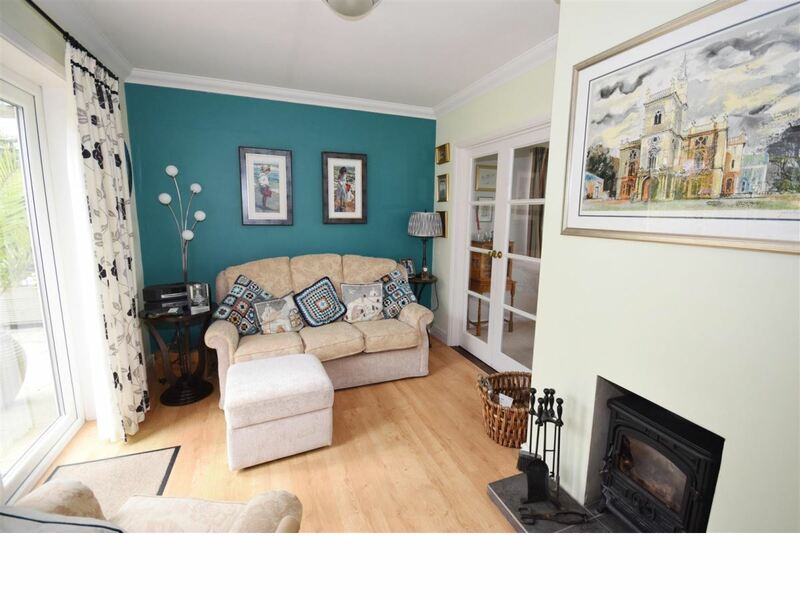 The noticeably bright and airy accommodation also comprises a charming sitting room, dining room opening into cosy 'snug' with log burner, stylish kitchen/breakfast room and substantial games/utility room, plus 3 bath/shower rooms (one bedroom and bathroom being on the ground floor). 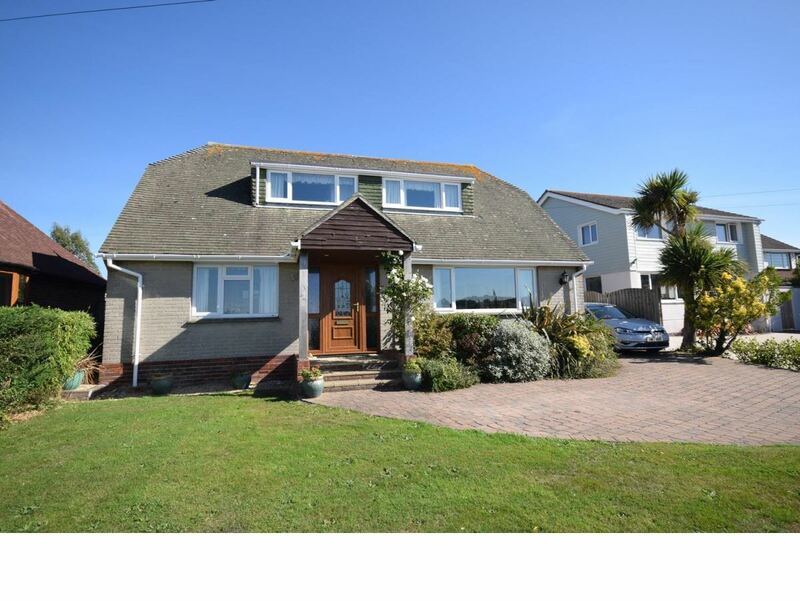 Externally, there is a delightful rear garden part of which comprises a Mediterranean style patio area, as well as a smart driveway. 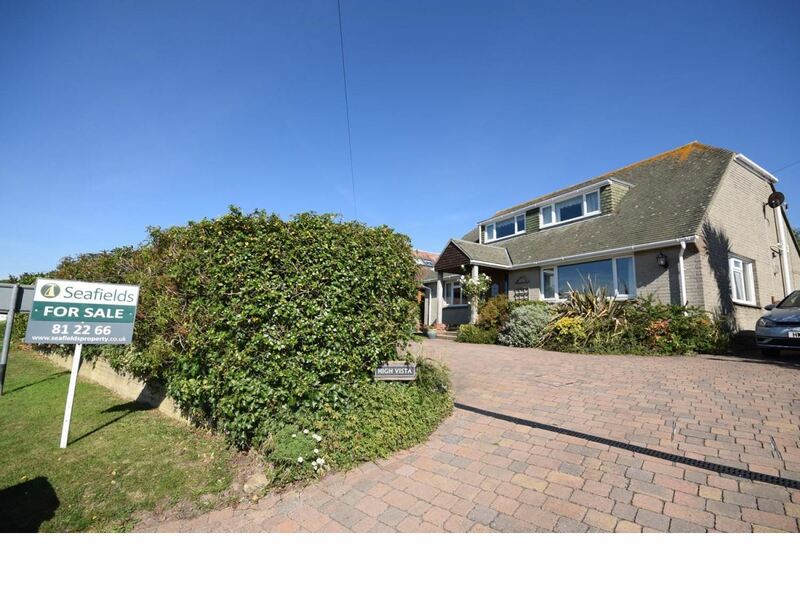 High Vista is minutes' walk from beaches, the well reputed primary school, bus route and village shops - and is being offered as CHAIN FREE. 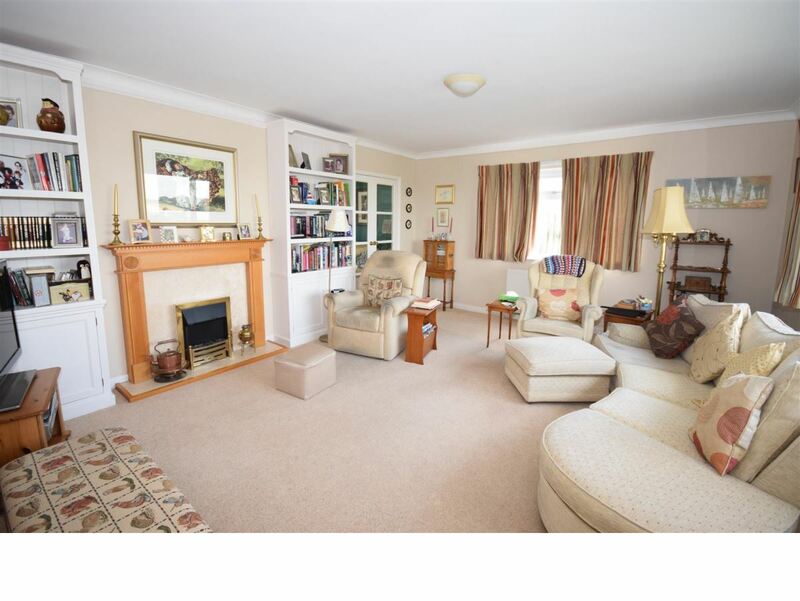 Sitting Room: - 5.28m x 4.29m (17'4 x 14'1) - A spacious dual aspect room with double glazed windows to side and front offering rural views. Feature fireplace with timber surround and inset electric fire. Fitted cupboards and shelving. Radiators x 2. Glazed door to Snug. 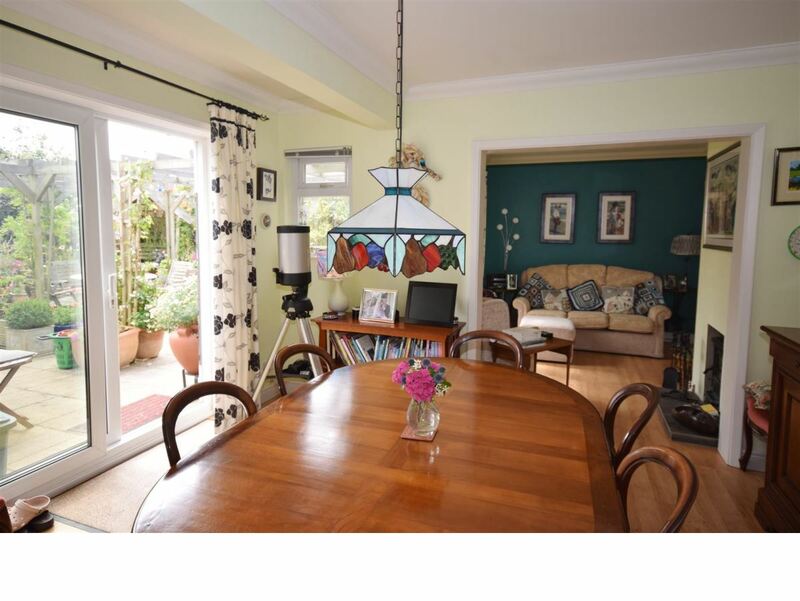 Snug: Cosy room with double glazed French doors to garden. Inset log burner with tiled hearth. Wood laminate flooring. Radiator. 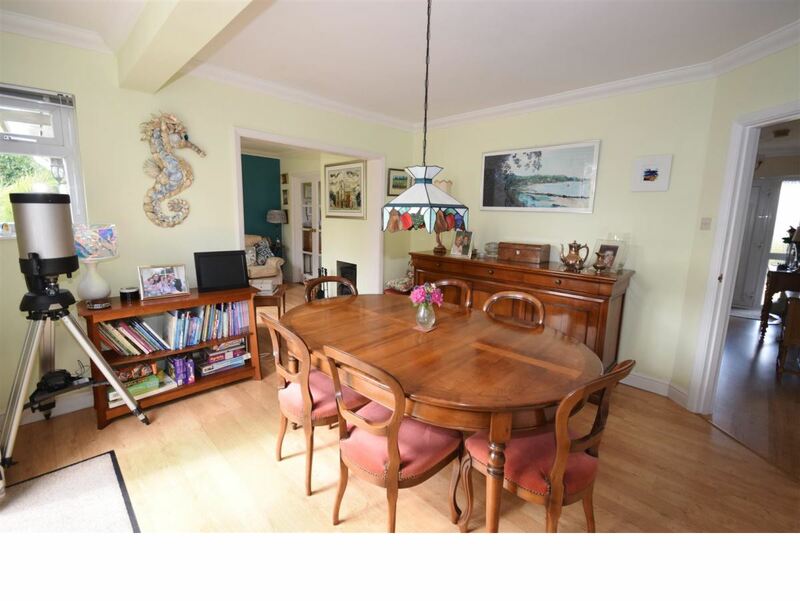 Dining Room: Attractive room with sliding double glazed doors to garden. Wood laminate flooring. Radiator. Glazed doors to Kitchen and Hallway. 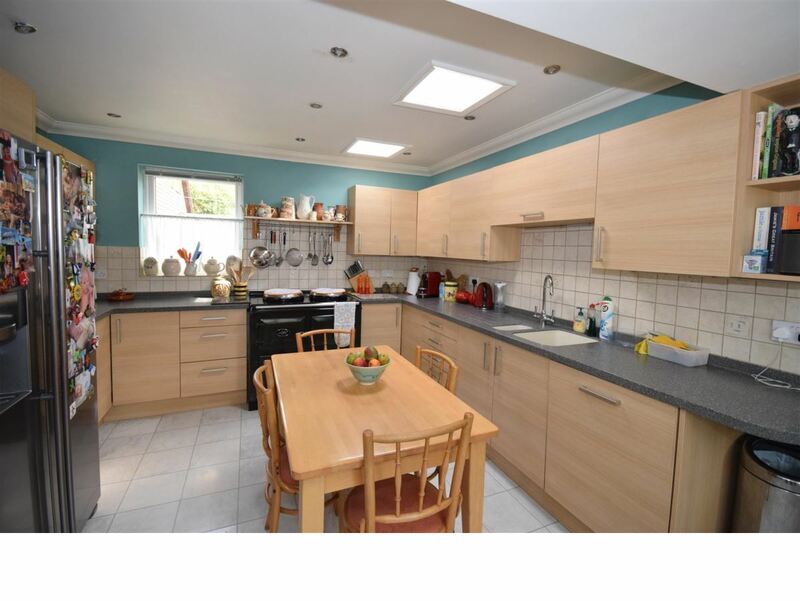 Kitchen: - 4.42m x 3.53m (14'6 x 11'7) - Stylish fitted kitchen comprising range of light coloured units with Corian work surfaces over incorporating inset 1.5 bowl sink unit. Electric 'Aga'. Integrated appliances to include dishwasher, microwave, 2-ring induction hob and extractor fan over. Tiled surrounds and vinyl floor tiles. Radiator. Door to Games/Utility Room. 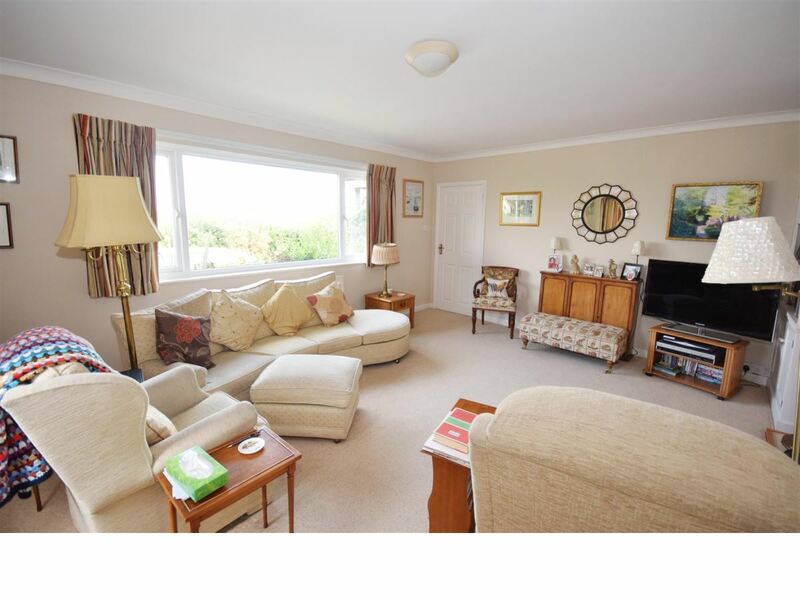 Skylight windows x 2 plus double glazed windows to both sides. 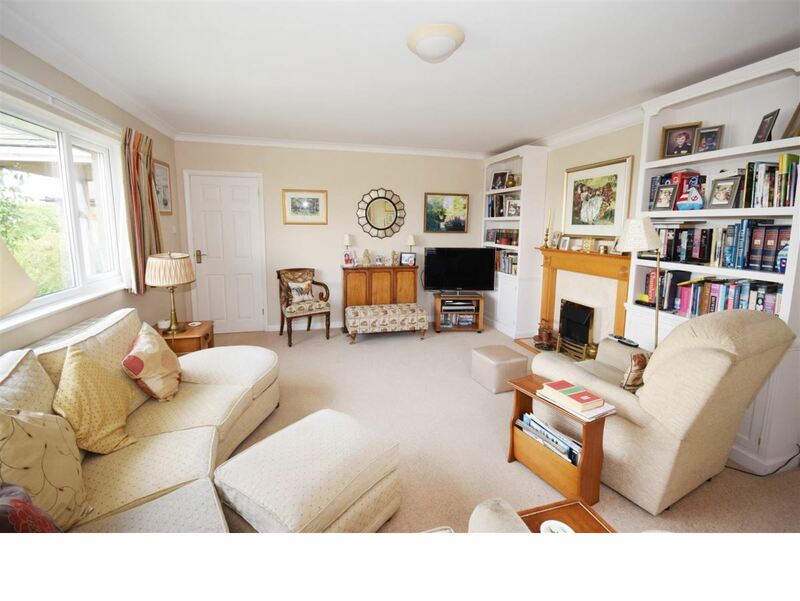 Games/Utility Room: - 5.31m x 2.90m (17'5 x 9'6) - Originally a garage, this exceptionally spacious Utility Room is also ideal as a games room. Double glazed window to side and double glazed door to garden. Plumbing for washing machine. Double cupboard housing boiler and hot water tank. Vinyl floor tiles. 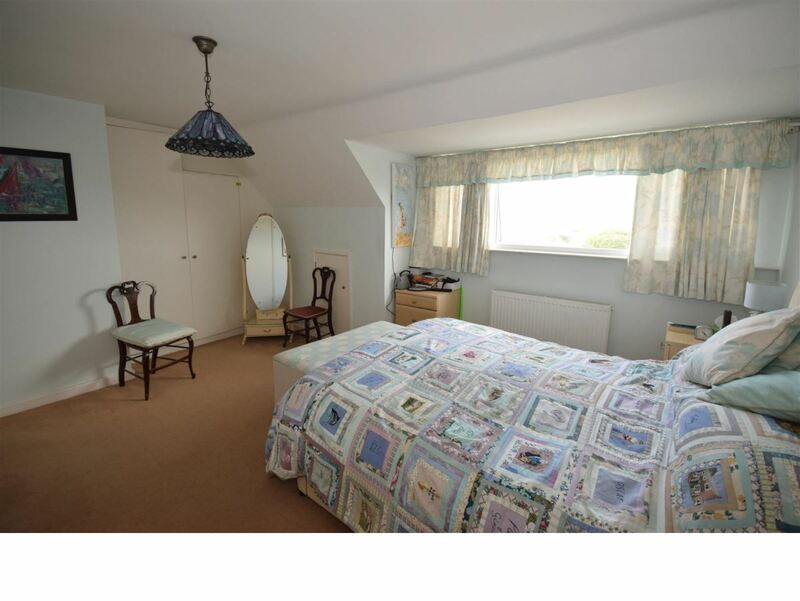 Bedroom 4: - 4.34m x 3.38m (14'3 x 11'1) - Ground floor double bedroom with double glazed window to front also offering rural views. Radiator. 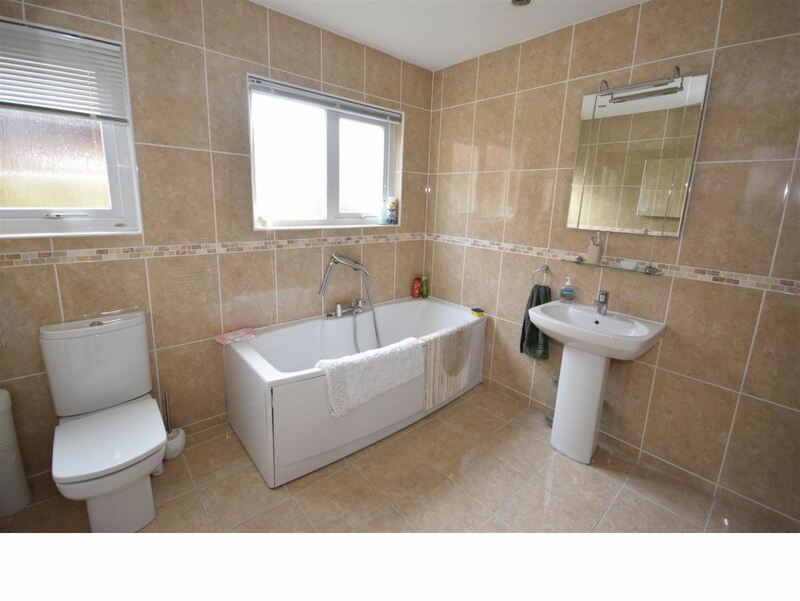 Family Bath/Shower Room: - 3.28m x 2.67m (10'9 x 8'9) - A superbly proportioned fully tiled luxurious family bath/shower room comprising white suite of bath with shower over; separate shower cubicle, pedestal hand wash basin and low level w.c. Recessed down lighters and extractor vents. Chrome heated towel rail. Radiator. Obscured double glazed window to side. First Floor Landing: - Access to loft. Doors to Bedrooms 1, 2 and 3. 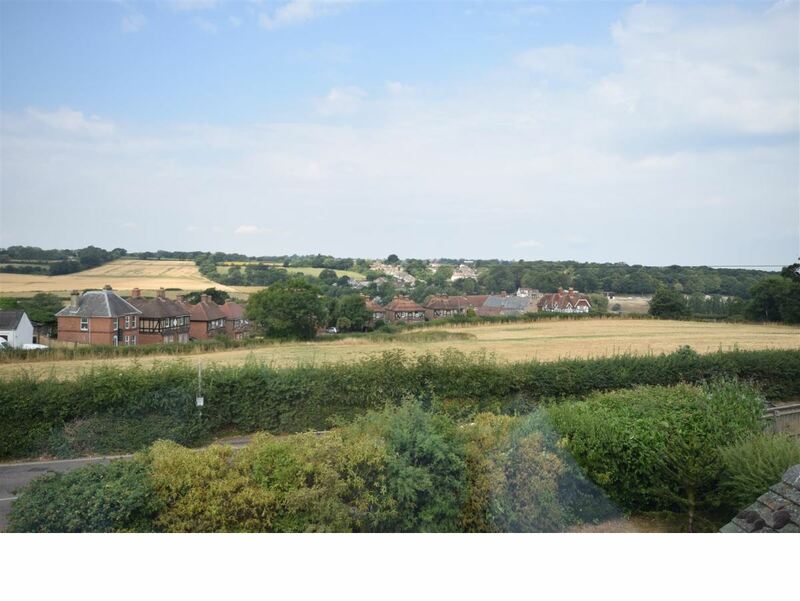 Bedroom 1: - 5.31m x 4.42m (17'5 x 14'6) - Double bedroom with double glazed windows to front offering far reaching countryside views. Ample storage including 2 built-in wardrobes, fitted chest of drawers and eaves storage. Radiators x 2. Door to Ensuite Shower Room. Ensuite Shower Room 1: - 1.85m x 1.83m (6'1 x 6'0) - Ensuite shower room comprising shower cubicle, pedestal sink and low level w.c. Radiator. Extractor fan and tiled floor. 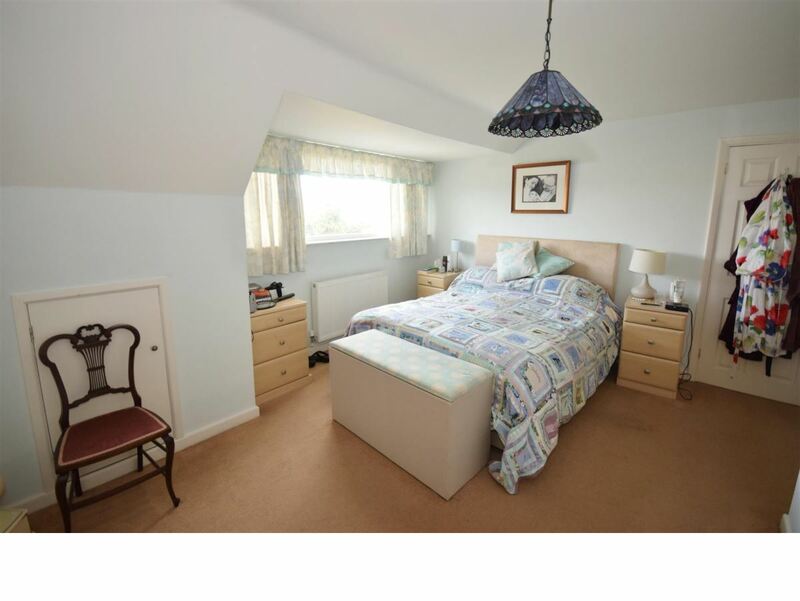 Bedroom 2: - 5.28m x 3.71m (17'4 x 12'2) - Another double bedroom with far reaching countryside views. Double glazed window to front. Built-in wardrobe and eaves storage x 2. Radiator. Door to Ensuite Shower Room. Ensuite Shower Room 2: - 2.31m x 0.79m (7'7 x 2'7) - Comprising shower cubicle with tiled surround, pedestal hand wash basin and w.c. Heated towel rail and extractor fan. 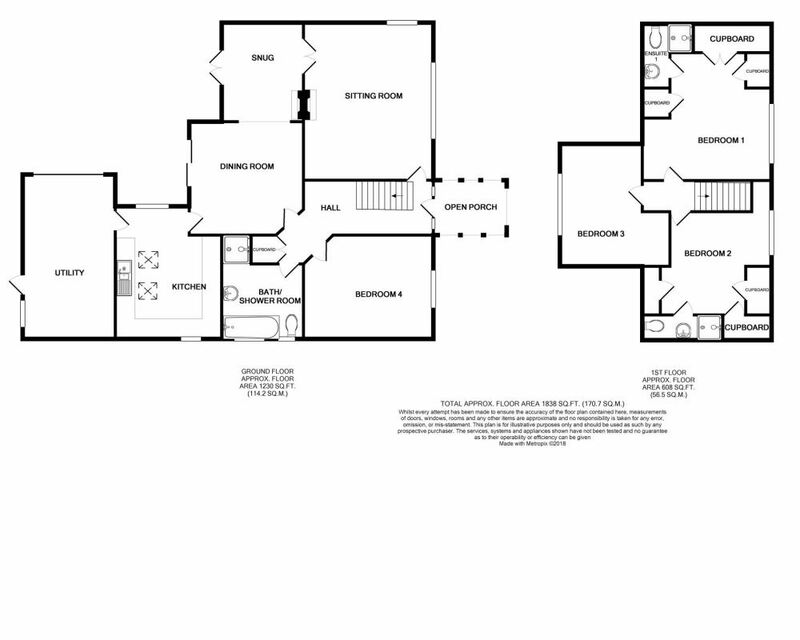 Bedroom 3: - 4.06m x 3.53m (13'4 x 11'7) - A third double bedroom with double glazed window to rear overlooking the garden. Radiator. 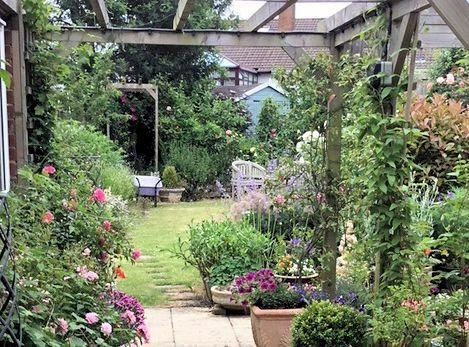 Garden: - To the rear is a good sized mature garden comprising a patio area with wooden pergola over, with the rest being mainly laid to lawn with natural pond and well stocked borders including an array of colourful trees and shrubs. Vegetable garden, greenhouse and shed. Outside lighting. 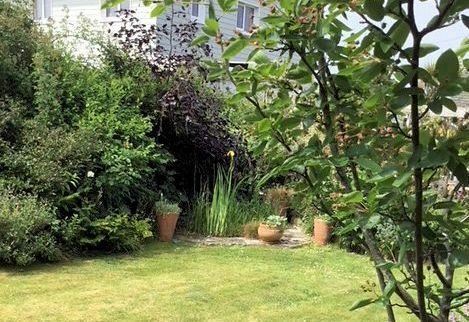 The garden to the front of the property is mainly laid to lawn with hedges and mature shrubs. Gated access to rear garden. Parking: - There is a smart block paved driveway with parking for up to 3 cars/boats. Tenure: - This property is FREEHOLD. 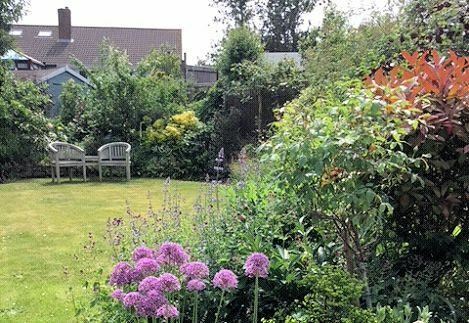 Directions: - From the centre of Seaview, travel up Old Seaview Lane or Steyne Road which in turn leads into Seaview Lane towards Nettlestone. Just before entering Nettlestone Green, High Vista can be found on the left hand side.